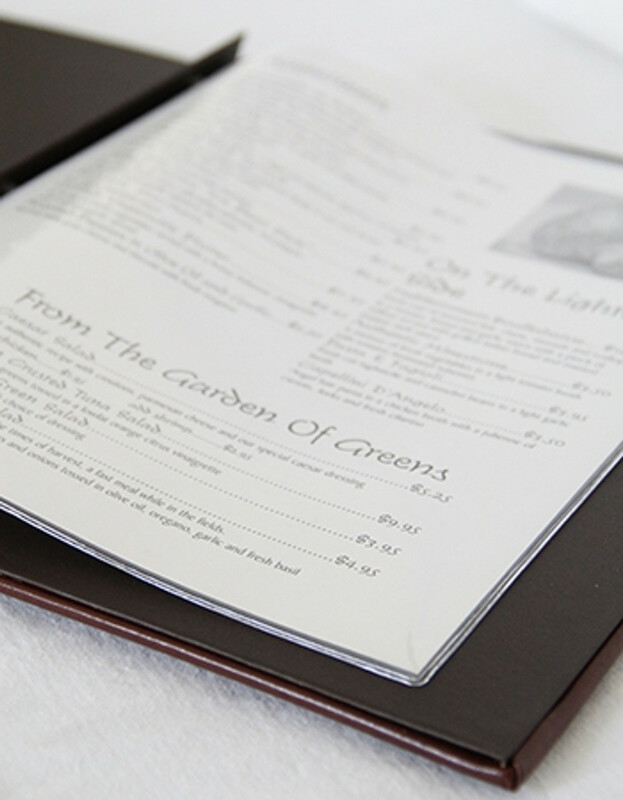 All clear vinyl page protector pockets for your three ring binder menu covers. Page Protector Pocket 5.5" x 8.5"
Page Protector Pocket 4.25" x 11"
Page Protector Pocket 4.25" x 14"
Page Protector Pocket 5.5" x 11"
Protect your printed menu pages with our heavy duty menu grade page protector pockets 5.5" x 11". Fits any of our 5.5" x 11" screw post menu covers or three ring bnders. Crystal clear vinyl pocket loads from the top. Page Protector Pocket 8.5" x 11"
Page Protector Pocket 8.5" x 14"